BEPZA Job Circular 2019 has been found on my website. 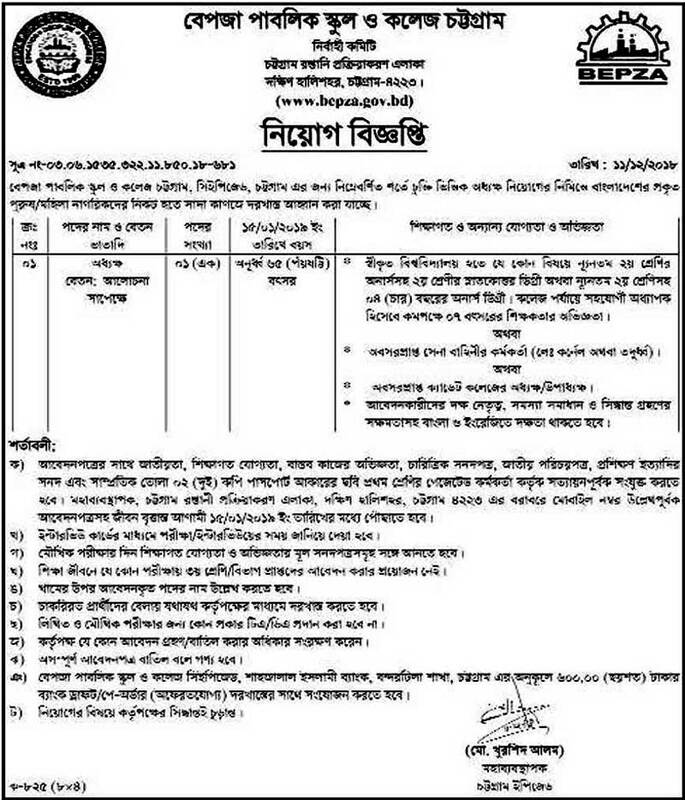 Bangladesh Export Processing Zones Authority (BEPZA) has been published Job Circular to be also found BEPZA Official website. 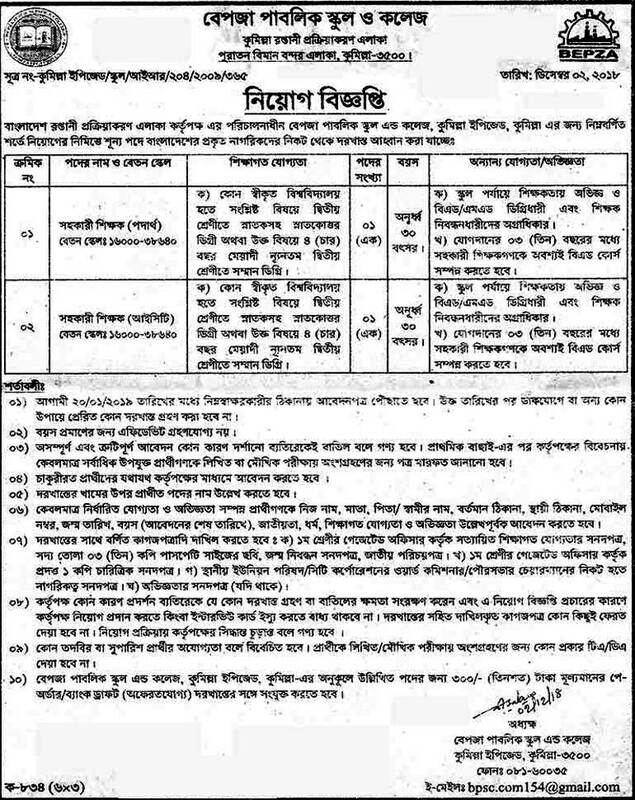 Bangladesh Export Processing Zones Authority Job Circular is available here. Interested candidates have to apply now. 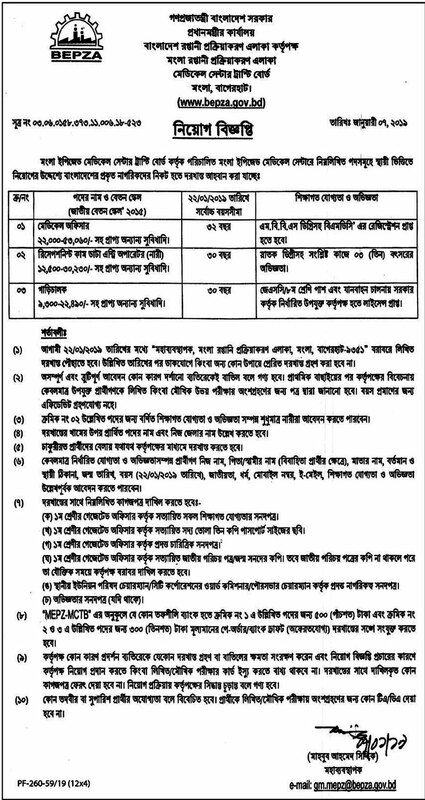 ■ Job Description: Bangladesh Export Processing Zones Authority (BEPZA), Recently Published Job Circular total twenty categories. ■ Education Qualification: Candidates must be Bangladesh Citizens. Candidates must have Post-Graduate/Graduate/ Diploma Engineering Degree/ HSC/ SSC/ Class 8 passed with having at least 2nd class. See the circular for more details information. ■ How to Apply: Apply with full Resume to send their CVs strictly as per format and instruction available in the circular with 03 copies of recent passport-size color photos to Secretary, Bangladesh Export Processing Zones Authority, GPO Box No- 2210, Dhaka. Secretary, Nilphamary. BEPZA Job Circular 2019. ■ Job Location: BEPZA, Nilphamary. Bangladesh Export Processing Zones Authority (BEPZA) as the competent Authority performs inspection & supervision of the compliances of the enterprises related to social & environmental issues. Safety & security at the workplace in order to maintain harmonious labor-management & industrial relations in EPZs. The primary objective of an EPZ is to provide special areas where potential investors would find a congenial investment climate free from cumbersome procedures.